Door trim may seem like a small, inconsequential detail, but it’s able to bring a room together. 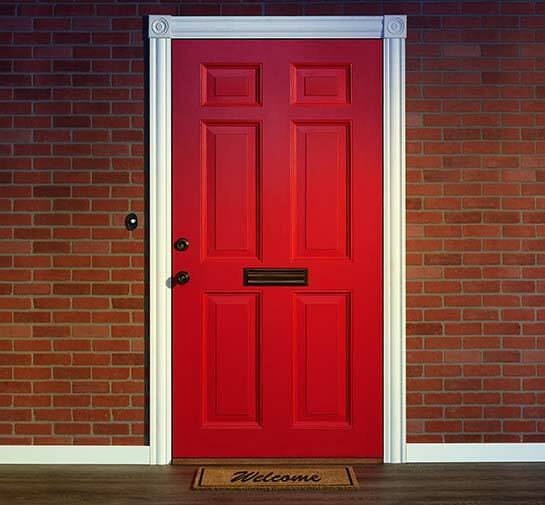 If the doorway is to be a canvas, the door trim can be seen as its frame. Not only does door trim add to the beauty of any entryway, it’s also able to increase the structural integrity. With many options available, in both design and material, your future door trims will suit your needs and accentuate your home perfectly. In order to succeed when adding door trim to an entryway, homeowners and remodelers must begin by choosing the right material for the job. At Trim Team, we offer three different material options, all of which provide beauty and originality. Since no two projects are ever alike, all of these options are available in different profiles and sizes. Depending on your project and home specs, Trim Team will be able to create door trims that will look great and fit perfectly. As far as door trim materials go, you can choose from middle density fiber, finger joint wood, or solid wood. Middle density fiber is inexpensive and can be painted to replicate the look of natural wood. Finger joint wood is sturdier and made from real wood. It connects together through “finger joints,” allowing for more stability. Solid wood trim is exactly as its name says. It’s the most natural, high-class option available on the market. No matter which material you choose, you can rest easy knowing your future door trim will look beautiful and remain as such for many years to come.